The angle at which you are brushing your teeth is one of the most important things to remember when performing your morning and evening routine. Always make sure to brush at a 45 degree angle towards your gum line. So if you are brushing your top teeth, make sure to brush upwards. 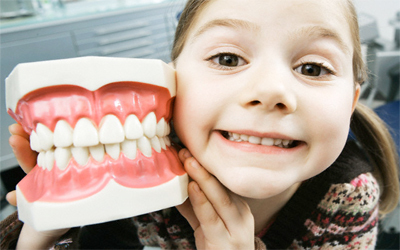 If you are brushing your bottom teeth make sure to brush downwards. Otherwise, you are missing the surface area closest to your gums. Also, this practice is better for receding gum lines. So the big joke in dentistry is “did your hygienist scold you thoroughly enough for not flossing?” At ProGrin Dental we never make you feel bad for not flossing. Never. But we do encourage it because we believe it is for the well-being of our patients. Did you know if you opt out of flossing you miss 40% surface area of your teeth. WOW! That is an extremely high number. Make sure when you floss that you are hugging the sides of your tooth really well. Make sure to brush your tongue in addition to brushing your teeth. There are surprising health benefits like removing bacteria that lead to the rest of your body. Of course bad breath is the most obvious reason, but make sure you are brushing your tongue every single time you brush. Fluoride While Brushing Your Teeth? There have been recent debates on the use of fluoride. No matter where you stand on the argument, the fact is that our water is actually enhanced with fluoride so you are sipping it down every day whether you know it or not. At the end of the day, brushing your teeth with toothpaste is ineffective without the brushing strokes. That is actually what removes the plaque not the actual toothpaste. Want to visit Dr. Henley in Boiling Springs, SC for more tips or look at our social media pages for a tour of the office?